The much anticipated EXOON Android TV ™ has finally hit the market. Modeled after the popular Apple TV. The Android TV ™ has been built for power and durability. EXOON, now leading the industry in set top boxes, is proud to announce the arrival of its new flagship unit, The EXOON Android TV ™ . The specs for this device are something to brag about with a Rockchip RK3188 1.6 GHz (1.8 GHz MAX) Quad Core ARM Cortex A9 Processor, 2D/3D GPU Quad Core Mali 400, GPU offers 3D graphic with OpenGL ES2.0 and OpenVG 1.1, I2S Master & Slave Interface for Audio, HD video decoder (1080p at 60fps), 2G DDR3 RAM, 16G Nand, 802.11 b/g/n, Built-in Realtek 8188 WiFi Module and loaded with Android 4.2.2 OS. The Power Pro does not fall short in any spec of power and performance. There will be a choice of custom ROMs available for the device so that it can be customize to meet the users taste. EXOON has big plans to implement many unseen features in some of the upcoming ROMs that are already in development. Clockwork Recovery will be ready and available for the device on EXOON’s site shortly after it is released and the ROMs will start piling up so that users can get a taste of freedom by being able to customize their device however they would like. EXOON expects to launch at least 10 custom ROMs within the first 2 months of its release and plans on launching a ROM of the month to give developers a chance to win cash prizes for their creative skills in the Android development arena. Android Developers are more than welcome to sign up in the community forums where there will be a special section devoted to ROM development only. There will be a 1st, 2nd and 3rd place drawing at the end of every month and EXOON’s Community will do the voting. EXOON has built a trend for being the first evertv set top box manufacturer to bring this type of competition to the table. EXOON encourages all developers that would like to participate in the EXOON ROM Challenge to register at the EXOON website in the forum as soon as possible. Cash prizes will range from $100, $250 and $500 for first place. Developers will also get a free Power Pro device for their contribution to the EXOON ROM Challenge and other devices and promo material as it becomes available. EXOON will continue to bring its cutting edge technology and devices to the next level assuring all gadget users alike to have the best Android experience possible. 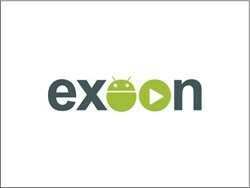 For more information on EXOON or to enroll as a developer in the EXOON ROM Challenge please visit http://www.xbmcandroidtv.com .